Ribollita is a famous Tuscan soup whose name literally means "reboiled". 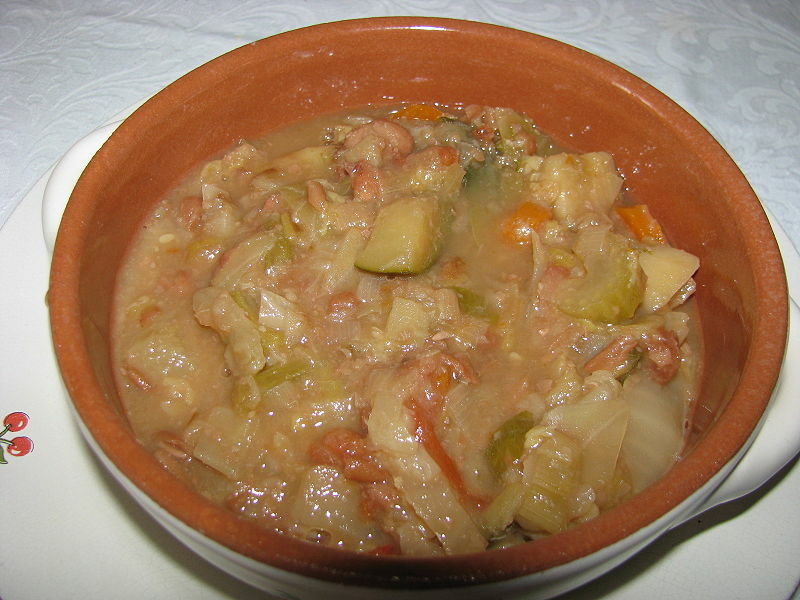 Like most Tuscan cuisine, the soup has peasant origins. It was originally made by reheating (ie. reboiling) the leftover minestrone or vegetable soup from the previous day. Left: Ribollita toscana: home-made Tuscan vegetable soup. There are many variations but the main ingredients always include leftover bread, cannellini beans and inexpensive vegetables such as carrot, zucchini, spinach or silverbeet, cavolo nero (Tuscan Kale Lute) and onion.